There are many new fabrics that are designed to keep you comfortable when active, but stains can be sometimes difficult to treat. This is a guide about how to remove stains from a moisture-wicking shirt. tried Dawn and now peroxide. Nothing takes the stains out and now they seem set! I only hang it to dry. Please help. Try filling a 5-gallon pail with hot tap water. Add 2T each hydrogen peroxide and powdered dishwashing detergent. Soak overnight and wash as usual in the morning. I'd try OxiClean. I usually get everything out with that stuff! 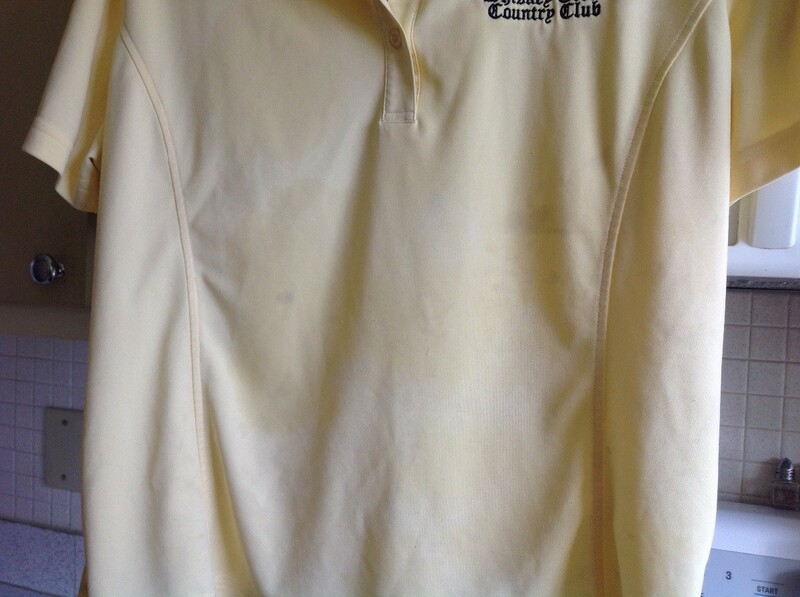 I have a cream coloured CoolMax (moisture wicking) shirt (my hubby's) and he spilled something that looks like spots of pop/soda, but he says not. I have tried OxiClean, Whisk, and Tide to no avail. It is not a drycleanable fabric, and of course it is a new shirt. Help please. Try soaking the stain in Biz. Soak over night and then apply it to the stain again and wash it like regular. I have had great luck with it. Good Luck!